What is Euclidean geometry, and how have descriptions of space moved on since Euclid's time? New types of geometry describe a strangely familiar curved space. Over 2000 years ago, Greek mathematician Euclid established our understanding of 'space'. He said that a straight line is the shortest distance between two points. And that given a point not on the line. Another line could be drawn through the point, parallel to the original line. Euclid's simple ideas seem so intuitive, they are difficult to argue with. But are these the geometric relationships that best describe our world? Mathematicians pondered what geometry would be like if you couldn't draw a parallel line. Surprisingly, it's very familiar to us, if we think about straight lines being great circles on the globe. If the equator is your first 'straight line', then any great circle through the point P must cut the equator. So no two great circles can be parallel. Therefore, a geometry with no parallel lines is the geometry of the surface of a sphere. This is sometimes called elliptical geometry, and is used by pilots who follow 'great circle' routes when they fly across the globe. But what would geometry be like if you could have lots of lines through a point, parallel to the original line? In the early 1800s, two mathematicians, Bolyai and Lobachevsky, described this abstract world. They did this by inventing a new type of trigonometry – which could describe the relationship between lines and angles in a hyperbolic space, which curves from a single point. The trigonometric functions 'cos' and 'sine' were replaced by the functions cosh and sinh. In conventional trigonometry, cos2 x + sine2 x = 1. In contrast, cosh2x – sinh2 x = 1. 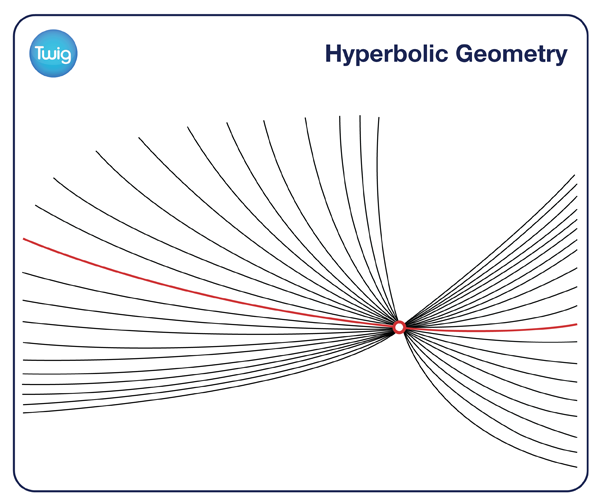 Hyperbolic geometry gave an alternative geometric basis for the understanding of physical space. For a century, hyperbolic geometry was little more than a mathematical curiosity. But in 1916, theoretical physicist Albert Einstein published his radical Theory of Relativity. 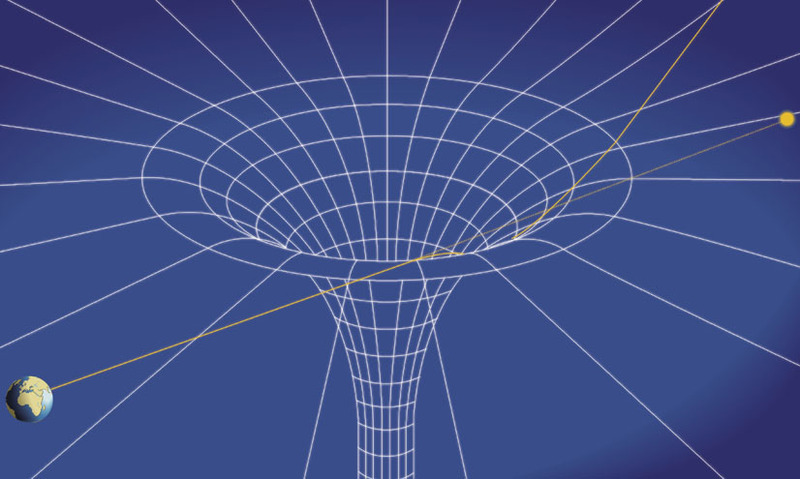 It describes a four dimensional world where space-time is curved, explained by hyperbolic trigonometry. So the strange geometry of Bolyai and Lobachevsky might describe the Universe better than the Euclidean straight-line geometry we find so intuitive. What Do Sine Waves Sound Like?